Commas are tricky things. They have many purposes in writing, but people seem to use them incorrectly from time to time. I can’t blame anyone because there is just a lot of rules to follow when it comes to this particular punctuation mark. So today, I figured that I’d share some ways on how to use it. 1. To begin, for compound sentences, you write the comma before the coordinating conjunction. For example, if you have the sentence: Anna went to the mall and she met her friends there. 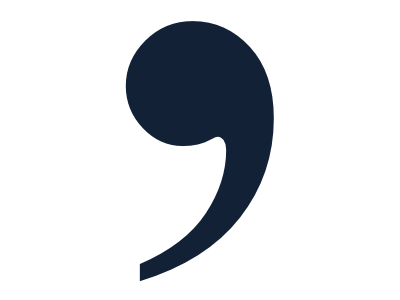 The comma should be written before the coordinating conjunction and, so it should look like this: Anna went to the mall, and she met her friends there. 2. For complex sentences, the comma should be after the dependent clause if the dependent clause will come before the independent clause. For example, if you have the sentence: Because Anna’s friends were excited to see her they gave her roses. The sentence should be written like this: Because Anna’s friends were excited to see her, they gave her roses. You put the comma after the word her because it proceeds to the second subject of the complex sentence which is they. 3. You can use it for appositives. An appositive is a part of a sentence that gives more details about the subject, and it is always enclosed between two commas. For example: Amy, Anna’s sister, visited the Philippines to study English. Anna’s sister is the appositive in the sentence because it give a little bit of background on who the subject is. Also make sure that you write a comma before and after the appositive to let the reader know that it’s additional information about the subject of the sentence. 4. A direct address also requires the use of a comma. A direct address tells the reader who the statement is for. For example: I will cook, mom. You put the comma before mom to signal the reader that the statement is for the writer’s mother. Otherwise, the word mom will function as a direct object connected to the word cook resulting into having a sentence expressing that the subject will cook his or her mother. 5. You can also use commas to separate items on a list. For example: I need to buy carrots, potatoes, ground beef, and some tomatoes for dinner. 6. Commas can be used to separate subjects if a sentence has more than one of them. A good example of this is: Anna, Amy, and Jennifer are going to Korea to visit Kim in November. If there is no comma to separate Anna and Amy, for example, it may confuse the reader to think that Anna Amy is one person where Amy is Anna’s second name. 7. Commas are also used to separate multiple predicates in a sentence if it has more than one of them. For example: Kim teaches, paints, and exercises everyday. 8. Commas must be placed after transition words or phrases. Words or phrases such as however, in addition, to begin, in other words. For example: Amy is a skilled sketch artist. In addition, she is also a great singer. Commas are needed to come in between the transition word or phrase to indicate that it is a type of modifier that is being used for the sentence. 9. Commas should also be used after other introductory phrases. These phrases usually express time, a description of a place, or conditions. A good example of this would be: After getting her diploma, Anna didn’t take time and started to look for a place to work in. 10. Lastly, in tag questions, a comma must be placed before writing them. For example: Anna worked in a hospital in Korea, didn’t she? A comma is essential in separating the tag question from the rest of the sentence to show that it’s a question that asks confirmation whether the sentence is accurate or not. And those are some ways on how to use commas. 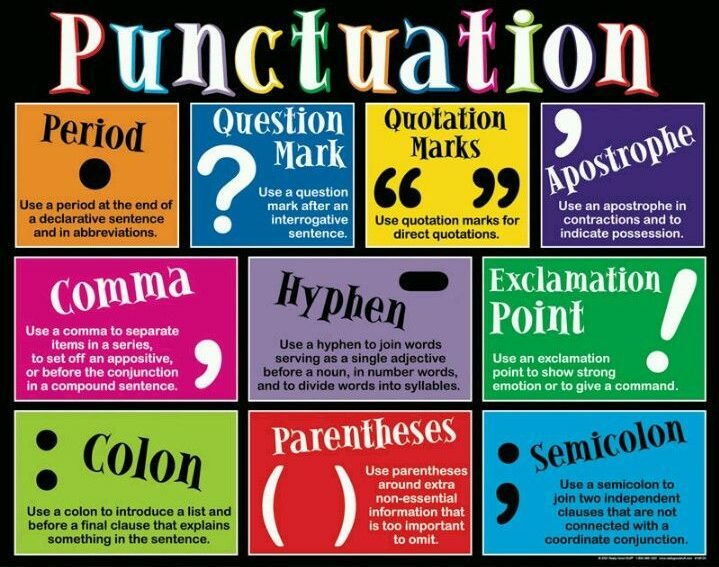 Knowing many of these rules will come in handy especially in writing academic or business reports, and unlike speaking, where you don’t verbally express punctuation marks, one needs to be familiar not only with the kinds but also with the rules on how to use each one of them.